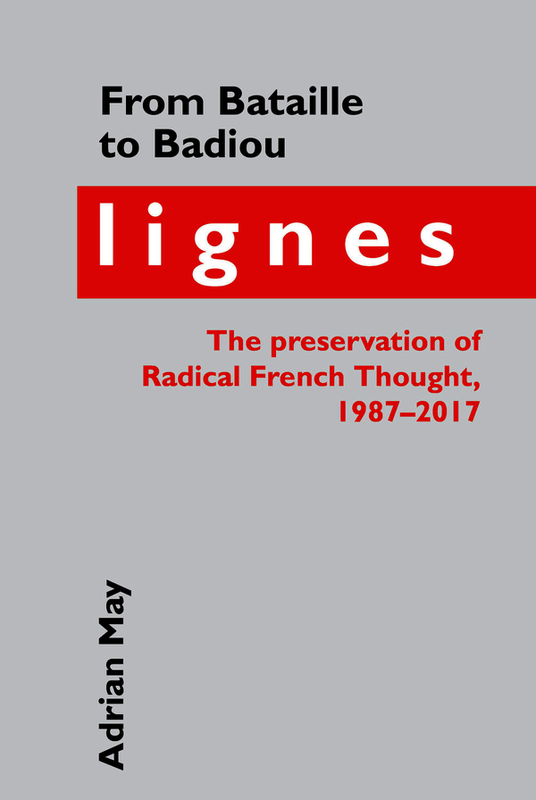 From Bataille to Badiou: Lignes: the preservation of Radical French Thought, 1987-2017 provides an exhaustive reading of the significant yet understudied intellectual review Lignes, from 1987 to 2017, to demonstrate how it has managed to preserve and develop the legacy of French radical thought often referred to as ‘French Theory’ or ‘la pensée 68’. Whilst many studies on intellectual reviews from the 1930s to the 1980s exist, this book crucially illuminates the shifting intellectual and political culture of France since the 1980s, filling a major gap in contemporary debates on the continued relevance of French intellectuals. This book provides a strong counter-narrative to the received account that, after the anti-totalitarian ‘liberal moment’ of the late 1970s, Marxism and structuralism were completely banished from the French intellectual sphere. It provides the historical context behind the rise of such internationally renowned thinkers such as Alain Badiou, Jacques Rancière Jean-Luc Nancy, whilst placing them within an intellectual genealogy stretching back to Georges Bataille and Maurice Blanchot in the 1930s. The book also introduces the reader to lesser known but nonetheless significant thinkers, including Lignes editor Michel Surya, Dionys Mascolo, Daniel Bensaïd, Fethi Benslama, Anselm Jappe and Robert Kurz. Through the review’s pages, a novel cultural history of France emerges as intellectuals respond to pressing contemporary issues, such as the fall of Communism, the European migrant crisis and rising nationalist tensions, the globalisation of financial capitalism and the 2008 economic crisis, scandals surrounding paedophilia and the return of religious thought to France, as well as debates on literature and the political value of art. Adrian May completed his PhD in French Intellectual Culture at the University of Cambridge. He is currently an independent researcher and teacher.